Social media advertising is becoming more and more common. Some people will tell you it’s essential to any business’s marketing toolkit these days. While social media is certainly a large platform and it appears to be useful for some businesses, it’s also not a surefire method to increase your sales or boost your brand. One problem with social media advertising is that people are still figuring it out. There are certain methodologies and techniques that work, but poor execution can limit a campaign’s effectiveness. Another common problem is people believe it should be quite simple and dive right in, making many missteps in their campaigns. 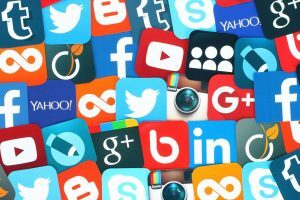 These issues can afflict social media savants as much as neophytes. Keep an eye out for these four social media advertising mistakes and your next campaign will benefit. One of the great things about social media is its potential reach. In theory, you can reach an enormous audience. As a result, social media can boost brand awareness and recognition. Businesses with a deep knowledge of their target audience do better on social media. They target their messages more effectively and place them in spaces where their audience is likely to see the ads. If a business owner suggests their audience is “everyone,” then chances are social media advertising isn’t being leveraged correctly. Think about who you want to connect with on social media, then build your campaign around their needs. Another misstep businesses make is not setting goals for their social media advertising. You probably already know the importance of goals. After all, most sales teams are given all kinds of goals: monthly quotas, yearly quotas, performance goals, and so on. Goals are key to driving performance. The same is true when it comes to your social media advertising. What do you want to achieve with this campaign? Do you want to sell more cars, or are you interested in increasing brand awareness? Your goals should give the campaign structure. They may even guide the design of the campaign. Which social media platforms are you using in your advertising campaign? How have you designed the campaign to reach different segments of your audience via each of those platforms? Many social media advertising campaigns stumble over the issue of diversity. Perhaps you pick just one social media platform to focus on, or you narrow your message to reach only a very specific segment of the audience. For true success, you’ll want to broaden your reach and provide different ads designed to appeal to different subsets of your audience. Diversifying the campaign this way ensures it reaches the right people with the right messages. When an appealing message arrives on someone’s timeline or feed, they’re more likely to take notice. Although social media advertising can be low cost, you’ll still want to set a budget for it. Relying entirely on organic reach isn’t a good way to utilize social media for your marketing objectives. This is especially significant in the wake of changes to Facebook’s algorithm. Some marketers also make the mistake of not putting a cap on the budget. Social media advertising is important, and paid options generally have a better ROI. However, you should set a capped budget at first to A/B test your ads before investing more heavily. If you avoid these four mistakes, your social media advertising campaigns will be stronger for it. If you’re still not sure, you can always reach out to an auto dealership digital marketing expert. They can help you make the most of your social media advertising efforts.